Finding that perfect space for your business can often prove quite a challenge. Perth-based Tayplay have found the combination of having their offices in our Riverview House and their manufacturing facility in the nearby Riverview Business Park to be the perfect solution. 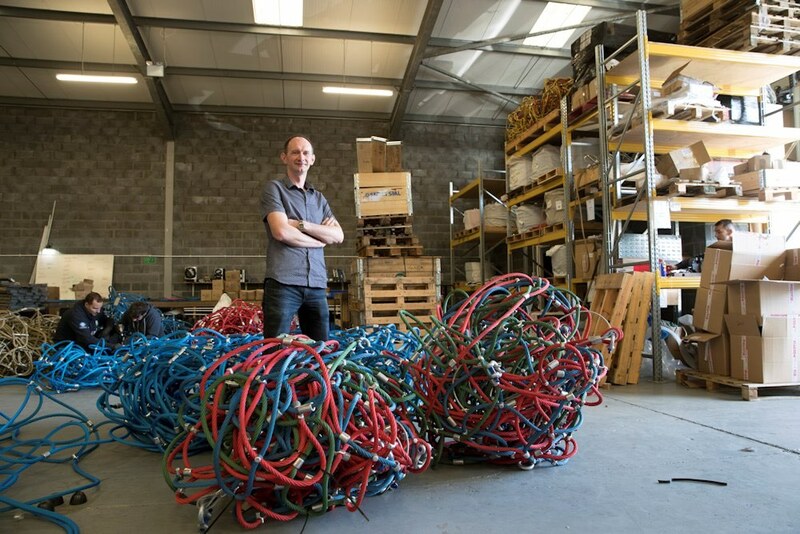 Tayplay are the UK’s number one supplier of rope playground equipment, manufacturing and shipping specialist net products across the world. Manufacturing takes place in-house, where specialists use steel reinforced rope to design and create bespoke and unique products. You can find Tayplay netting across the world from UK to the USA and Far East, supplying the strength and quality required for play areas everywhere. Tayplay take pride in having such a close workshop and office, allowing them to retain some of their best staff, with experience from 3 years to when Tayplay was founded 22years ago. “When looking for our new space, the proximity of the warehouse to the office was a huge factor for us” comments Peter Will, Managing Director. The experienced property team at Castlecroft looked at the available space and found the perfect option to suit their needs. The high quality offices at Riverview House are perfectly situated to the nearby Riverview Business Park, where secure industrial units range from 550 sq. ft. to just over 11,000 sq.ft. Tayplay completed the move into our Riverview House offices, where their team of 6 office staff enjoy an open-plan layout. Just a stones throw away is their new manufacturing facility in the Riverview Business Park, where they occupy an 11,200 square foot industrial unit. Peter comments: “Its great being able to have that separate office space from the warehouse but still get all the benefits of having it so closeby.” With generous eaves height, 3-phase electric options and broadband available, they also benefit from having access to our dedicated support team. Castlecroft pride themselves on providing high-quality office space, both serviced and unserviced and have great connections to access any additional support including IT, telecoms and furniture. For further information on our office space and industrial unit facilities, please contact us on 01738 472000, email enquiries@castlecroft.com or get in touch using our enquiry form. This entry was posted in Case Study, News and tagged Case Study, Tayplay.